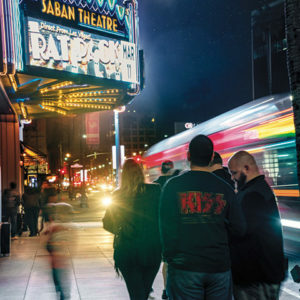 Some of the biggest names in politics, media, science, sports and entertainment are coming to the Saban Theatre in Beverly Hills for intimate discussions about their careers, lives and ideas as part of the Distinguished Speakers Series of the Westside. 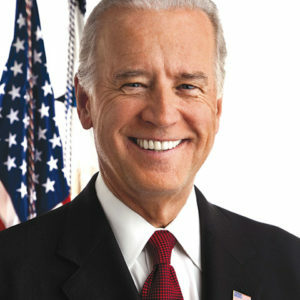 Former Vice President Joe Biden will open the series on Oct. 22 at the Saban Theatre. (photo by Andrew “Andy” Cutraro. The series launches on Oct. 22 with former Vice President Joe Biden, who will be followed on Nov. 26 by Bill Nye “The Science Guy” and on Jan. 21 by broadcast journalist Ted Koppel. Also featured are former Australian Prime Minister Julia Gillard on Feb. 18, travel expert Rick Steves on March 11 and basketball legend and best-selling author Kareem Abdul-Jabbar on May 9. The Distinguished Speakers Series is celebrating its 22nd year in Southern California. It started in Pasadena and later expanded to Redondo Beach, Thousand Oaks and Beverly Hills. Previous speakers include former President Bill Clinton, former British Prime Ministers Margaret Thatcher and Tony Blair, the late Soviet statesman Mikhail Gorbachev and Tibetan spiritual leader, the Dalai Lama. Winterhalder said this year’s schedule will be just as dynamic, offering perspectives on contemporary issues and current events. Biden, a former senator from Delaware who served as vice president in President Barack Obama’s administration, is an expert on U.S. foreign relations and domestic policy. He is a recipient of the Presidential Medal of Freedom – the nation’s highest civilian honor – and an outspoken figure in the debate over gun control and campaign finance reform. Koppel is one of the most respected and acclaimed broadcast journalists. He will provide an analysis, commentary and perspective on the current events shaping the country and the world. Gillard served as Australia’s 27th prime minister – the first woman to hold the office – from 2010 to 2013. She championed issues such as environmental protections and clean energy, social equality and access to healthcare. Gillard is also a former member of the Australian Parliament and the country’s former education minister. Steves is considered one of nation’s leading experts on European travel. He will share vacation tips, answer questions and address traveling concerns. Abdul-Jabbar is a college and professional basketball legend who spent 20 seasons in the National Basketball Association – mostly with the Los Angeles Lakers. He will discuss his 50-year friendship with coach John Wooden and his life and achievements after basketball. Winterhalder said the candid nature of the series allows speakers to be more conversational and informative. She added that many people who are longtime subscribers often say the most interesting speakers are the ones about whom they knew the least. The Distinguished Speakers Series of the Westside is held on select Sundays at 7 p.m. at the Saban Theatre, an 1,800-seat venue located at 8440 Wilshire Blvd. Audience members can choose a six-event subscription package with premiere seating for $475, or a four-speaker mini-series for $260. Single tickets are not available. The series also brings the same speakers to the Ambassador Auditorium in Pasadena, the Redondo Beach Performing Arts Center and the Thousand Oaks Performing Arts Center. Winterhalder encouraged those who have been to previous Distinguished Speaker Series events to return for the upcoming season, and hopes to welcome newcomers.